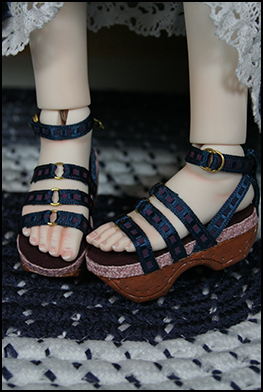 This doll will be for sale Saturday - Oct. 25 at 3:00 pm EST. 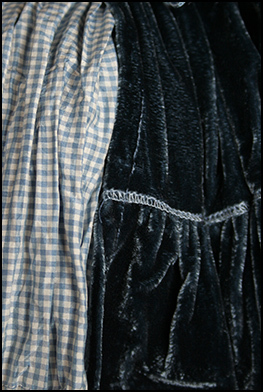 Cassie's dress silk gingham and velvet. 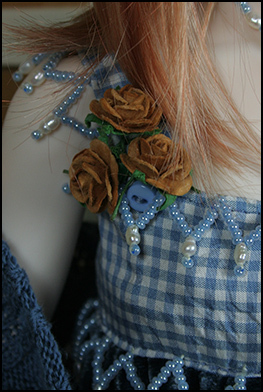 It features hand beading (glass beads and water pearls) on the bodice and straps. 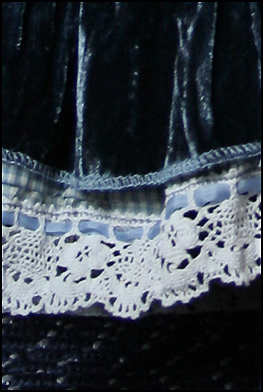 The underskirt is silk gingham with cotton lace around the hemline. Both pieces have been stressed. Her necklace is glass beads and water pearls. 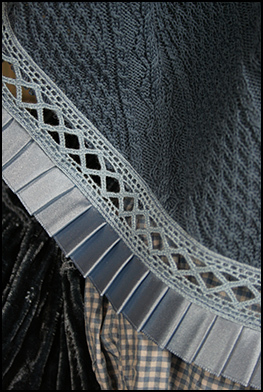 The shawl is a knit with lace trim and a pleated satin ribbon. She wears cotton bloomers. Her wig is Monique gold" and her eyes are from "Eyeco" platinum series.